Welcome to this blog!! Roy de Kleijn is an experienced Technical Test Consultant with knowledge of a big variety of tools to automate test scripts for almost any type of application. He is experienced in automating the entire application landscape, from web services to web applications and even desktop applications and mainframes. Test automation gives a quick insight in the quality of the test object and it shortens the feedback cycle. He worked on a test automation implementation at Aspider Solutions International, a Telecom company. He succeeded to create automated tests for the core functionality, such as functional flows and the mediation process . After this assignment, he was hired by Spil Games, worldwide market leader in online casual games, where Roy de Kleijn made a robust test automation framework, for functional / web services and localization testing. In 2011 Roy de Kleijn joined Polteq Testing Services. In this role he consults a variety of clients, where he is mainly working on test automation. Roy has developed and is now the trainer of two practical Selenium/WebDriver trainings, which have been highly appreciated by the students. This training has also been selected by several large customers as part of their training curriculum for test engineers. Roy is frequently asked to speak (internal and external) about test automation topics; to management focusing on the added value of automated testing, to test engineers about the possibilities of automated testing. 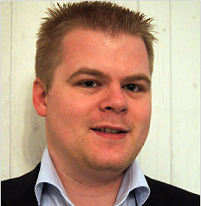 In 2015 Roy de Kleijn continued his career as independent Technical Test Consultant. Roy essentially consults on technical testing, test automation, performance testing and agile testing. He can also provide technical trainings or be a guest-speaker on events. Disclaimer: The views and opinions expressed on this website written by Roy de Kleijn are solely his own.